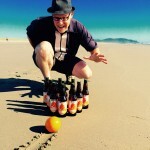 RON SWARNER: Live from the Proctor District in Tacoma Washington, it’s the 2019 Tournament of Beer: Northwest Pilsners. Peaks and Pints annual Tournament of Beer is special — it’s a time scour social media, eat too many sandwiches, and scream too loudly at the giant bracket sitting on top of our cooler. But most importantly, it’s the time for people to celebrate their love of craft beer. Good morning, ladies and gentlemen, I’m Peaks and Pints co-owner Ron Swarner. If you’re a pilsner fan or a friend of a pilsner fan, Peaks and Pints Weather Guy, this will be a tournament to remember. Your thoughts on that matter? PEAKS AND PINTS WEATHER GUY: I just posted my forecast for the Boulder River Trail east of Arlington on the Peaks and Pints Twitter. The bartenders are making me wear a rain slicker around our craft beer bar again. RON SWARNER: That’s terrific. During the month of February, we asked our patrons and the public to vote for their favorite pilsners brewed in Washington and Oregon. Through an online nomination system, beer enthusiasts listed 81 pilsners with the top 64 seeding the Tournament of Beer: Northwest Pilsners’ knockout bracket. Kicking off today, eight pilsners meet on the our wooden floor, which means four games to vote on. This scenario continues Monday through Friday, until the tournament’s final game, April 27. PEAKS AND PINTS WEATHER GUY: I’m glad we have the weekends off so I can work on my Corn Syrup It Up pub franchise. RON SWARNER: We’re not taking about corn syrup lagers, folks. That tournament will never happen at Peaks and Pints. We’re talking pilsners brewed in the O.G. of the pilsner style, Czech (or Bohemian) Pilsner with Bavarian bottom-fermenting lager yeasts, lighter malts, and spicy Saaz hops, OR German pilsners, aka pilsener, aka “pils,” a style made with pilsner malt, Saaz or any combination of German noble hops, for a more hop-forward pils than the Czech version, OR American pilsners brewed with Northwest hops straight outta of Yakima. 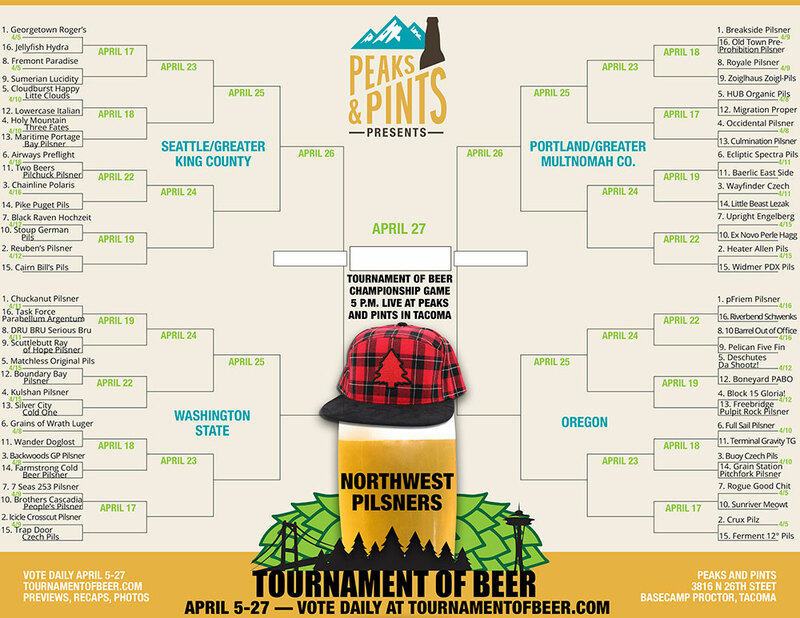 Peaks and Pints seeded the top 64 Northwest pilsners voted in four bracket regions — Seattle/Greater King County, Washington state, Portland/Greater Multnomah County and Oregon with one pilsner per brewery. PEAKS AND PINTS WEATHER GUY: This sounds like madness. PEAKS AND PINTS WEATHER GUY: I stopped prior to getting enough, despite urging to the contrary by Michael Jackson. RON SWARNER: Wrong guy. The top 64 nominated pislners — the cream of the crisp — compete at tournamentofbeer.com, which forwards right here. The malt-to-malt battle of Northwest pilsners grand champion will be announced at the Tournament of Beer Party, April 27, at Peaks and Pints, 3816 N. 26th St., right here in Tacoma’s Proctor District. The final two pilsners will battle live pouring from our Western red cedar tap log with the champion brewery receiving a permanent handle at Peaks and Pints through the spring and summer of 2019. PEAKS AND PINTS WEATHER GUY: We should have thought of this tournament a long time ago. RON SWARNER: Peaks and Pints opened its doors November 1, 2016, Weather Guy. This is the third year we have hosted this popular beer madness. Rainy Daze Brewing Goat Boater won the 2017 Tournament of Beer: Washington IPAs, and Wingman Brewers P-51 Porter was crowned champion in the 2018 Tournament of Beer: Northwest Porters. PEAKS AND PINTS WEATHER GUY: This bracket thing makes me anxious. RON SWARNER: Yep, Peaks and Pints admits it. We love brackets. Think about it: a beer tournament seeded by the public, nominated pilsners unavailable in the South Sound, fleeting love affairs with breweries you might forget by May. And if you’re lucky enough to have your favorite pilsner nominated, well, that’s three weeks of anxiety you’ll never get back. The bracket in all its simplicity and linear beauty brings some sanity and order to our attempt to champion craft beer. If we can entice someone to drive to eastern Oregon to try Terminal Gravity Brewing’s 11th seeded TG Pilsner, not only is that cool, but also strengthens the industry. PEAKS AND PINTS WEATHER GUY: I have no idea what Task Force Brewing’s Parabellum Argentum Pilsner means. RON SWARNER: It’s an Army thing. But, see, the new Lakewood brewery rallied the troops, and landed a 16th seed in the Tournament. People will seek out the pilsner, which, by the way, is delicious. 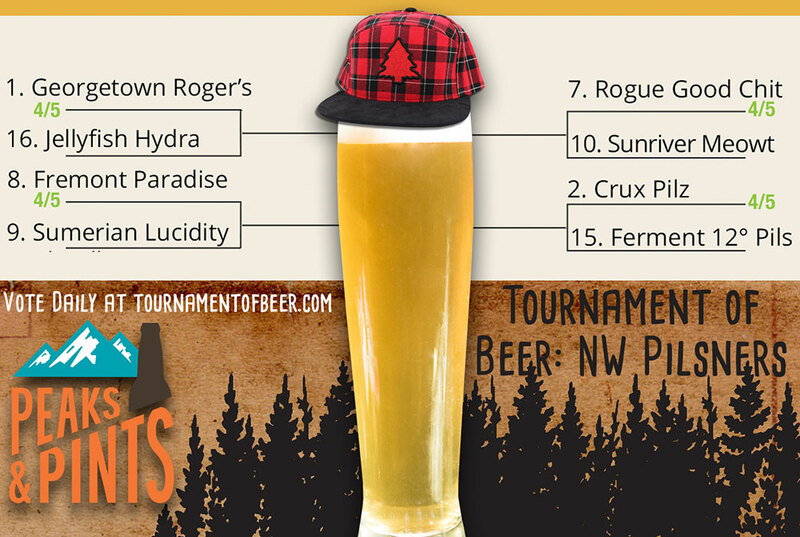 PEAKS AND PINTS WEATHER GUY: Without further ado, we present the Tournament of Beer: Northwest Pilsners … and day one of our first round matchups. RON SWARNER: Gear down turbo. First, let’s do a quick liver-size check, then dive into today’s First Round pilsner battles. Vote for one pilsner per game. Voting for today’s pilsner battles ends at 11:45 p.m.
RON SWARNER: Manny Chao and Roger Bialous were two friends who loved ultimate frisbee and hated working for “the man.” Oh yeah, and they also loved beer. Roger was working in insurance and Manny left Mac & Jack’s Brewing when they finally decided to make the leap — start brewing beer and make it their livelihood. In 2002, Georgetown Brewing was launched behind Manny’s homebrewed pale ale, Manny’s. Roger’s Pilsner, the second beer introduced by Georgetown Brewing, is a reliable rendition of the style. Oregon grown Sterling hops give this refreshing pilsner a spicy and earthy hop aroma. Malt character is accentuated by a Bavarian Lager Yeast that ferments dry but round and complex. Roger’s Pilsner was seeded number one by a large margin. Jellyfish Brewing Hydra Pils will need all its heads to slide past Roger’s. PEAKS AND PINTS WEATHER GUY: Roger that. 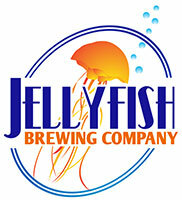 RON SWARNER: Jellyfish Brewing management has stretched their tentacles far and wide in the Seattle beer scene. Owners Tom Stevens, who spent time at Big Time Brewery and Alehouse, and Mark Burr, who boasts a 25-year career in beer that includes helping open Water Street Brewing and Alehouse in Port Townsend and co-founding Strange Brew Fest, brought on as head brewer Justin Rizza, who’s worked at Hale’s Ales and Great Divide Brewing Company. Hydra is a classic pilsner with the honey-drenched bread and crisp finish that we all look for in a pilsner. An all-German grain bill, and additions of Czech, French and German hops give this lager a truly continental lineage. PEAKS AND PINTS WEATHER GUY: Georgetown Brewing and Jellyfish Brewing are practically neighbors. This battle could tear apart the Georgetown Community Council, cause riots around the ginormous Hat ’n’ Boots in Oxbow Park for the bigger-than-life Hat ’n’ Boots, and, no doubt, someone is going to take a tote bag to the head at the Georgetown Trailer Park Mall. RON SWARNER: Long-time environmentalist, community organizer and homebrewer Matt Lincecum brought his bank statement to a well-known real estate developer to lease space to his startup craft brewery in the middle of a recession in the “center of the universe” aka Seattle’s funky Fremont neighborhood. Apparently $10,000 and awesome homebrewed beers CAN get you somewhere. In August 2009, Lincecum kegged his first Fremont Brewing craft beer. Today, Fremont is regarded as one of the best craft breweries in Seattle with distribution throughout the state, as well as Oregon and Idaho. In addition to its reputation for consistent quality and innovation, Fremont Brewing is a recognized leader in sustainable brewing operations and community engagement, which is why it’s not shocking that Lincecum changed the name of his pilsner from Parkland to Paradise Peak in honor of the mass shooting in Parkland, Florida. Name might have changed, but the delicious pilsner is still brewed with German and Pacific Northwest malts and Yakima Valley hops that’s dry, grassy with lots of lemon and just a dot of cream on the finish. 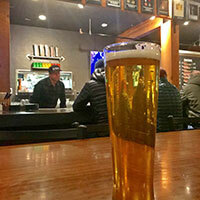 PEAKS AND PINTS WEATHER GUY: I still think they should have called it Pilsner 4000. RON SWARNER: Since opening in 2013, owners Mark and Holly Ihrig have quickly turned their brewery into one of the area’s fastest growing and most recognizable. Much of that has to do with a strong marketing game, creative business sense and, of course, hiring Tyson Schiffner as their head brewer. With more than a decade of experience as a brewer at Red Hook and cellar master at exclusive wineries such as Chateau Ste. 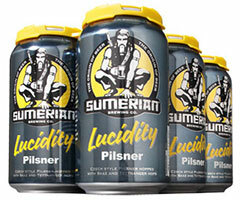 Michelle and Betz Family Winery, Schiffner creates beers, such as his Lucidity Pilsner, that can be clean and exacting while at the same time fresh and interesting. His Bohemian Czech style pilsner balances rich, complex German malts combined with a pronounced yet soft, rounded bitterness, spicy flavor from Saaz and Tettnanger hops. PEAKS AND PINTS WEATHER GUY: I will be watching over you. I am gonna help you see it through. I will protect you in the night. I am smiling next to you, in silent lucidity. RON SWARNER: In 1974, Larry Sidor walked into Olympia Brewing Company wearing galoshes. Two decades later, he ran out. He couldn’t take dumbing down lagers anymore. He found happier times at Deschutes Brewery, developing legendary recipes such as The Dissident, The Abyss and Red Chair. 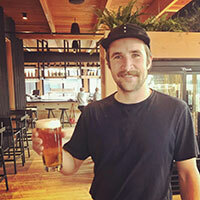 In 2012, he and Paul Evers opened Crux Fermentation Project in a former AAMCO transmission shop in Bend, Oregon, with the complete freedom to brew whatever they desired, and by desire that meant a pilsner brewed with traditional pilsner malts, imported Czech Saaz and local Oregon Sterling hops. This second seed pilsner sports surprising complexity and softness — developing biscuity flavors, spicy herbal notes and a hint of lemon. PEAKS AND PINTS WEATHER GUY: It’s deliciouz. Ferment bartender Tanner cheers his 12 Degrees pilsner. RON SWARNER: Former pFriem head brewer Dan Peterson and culinary expert wife, Jennifer Peterson, opened Ferment Brewing Co. a few blocks east of pFriem in Hood River in August 2018. Peterson graduated from the University of Vermont with a Bachelor’s degree in Microbiology and Molecular Genetics. He ran the QC lab and bottle conditioning program at Brooklyn Brewery from 2003-2010 before moving to Oregon and becoming a brewer at Full Sail until 2013 when he joined pFriem. Ferment’s building, designed by Portland architectural firm Skylab, features a modern-cabin feel, with sharp lines and angles but a cozy vibe. Interior and exterior walls are lined with Douglas fir from Hood River’s Tum-A-Lum Lumber company. Ferment 12° Pils Czech-Style Lager is brewed with barley raised and malted in Bohemia and the revered Saaz hop grown in Czech Republic. Naturally soft and pure water from Mt. Hood achieves a truly authentic European-style lager. PEAKS AND PINTS WEATHER GUY: Champagne wishes and caviar dreams! RON SWARNER: Grown in Rogue Farm’s volcanic-rich soil at Tygh Valley, Oregon, the barley is harvested, combined and delivered to Rogue’s on-site malt house to be floor-malted. Seriously. The golden grain is spread across a specialized floor, where it is hand-turned every 12 hours over the course of eight days. Once the barley creates “chits” or sprouts that start to grow as a result of the floor-malting process, it is transported to Rogue’s brewery in Newport, Oregon, to become Good Chit Pilsner. It hits the tongue with cracker and biscuit malt with some earthy character before it finishes dry and refreshing with floral and grassy hop flavors. PEAKS AND PINTS WEATHER GUY: Like all living things, English is weird, annoying, amusing, unpredictable, bonkers, and kind of a miracle. You couldn’t make up a term like “Good Chit,” but Rogue did. And, it’s the chit. RON SWARNER: Sunriver Brewing Company has three locations, one — you guessed it — is in Sunriver and the brewery opened its second location in Bend in 2016 with a third opening in Eugene this weekend. Director of Brewing Operations Brett Thomas has earned the brewery multiple GABF gold medals. Thomas is a 2010 Falconer Foundation scholarship recipient and a 2011 graduate of the American Brewers Guild with a degree in Intensive Brewing Science and Engineering. His diverse brewing prowess can be tasted in his technical beers such as his Czech Meowt, which hits all the right spots: bready malt flavor, light sulfur notes and an abundance of spicy-floral hop character. PEAKS AND PINTS WEATHER GUY: Pour me one and scratch my belly.